This class will include 3 hours of instructions to decorate 14 cookies similar in design to what is pictured here. Basic decorating techniques will include the following: learning how to flood royal icing on a sugar cookie, wet-on-wet techniques, and tips on getting the right icing consistency for the decorating look you’re aiming to achieve. 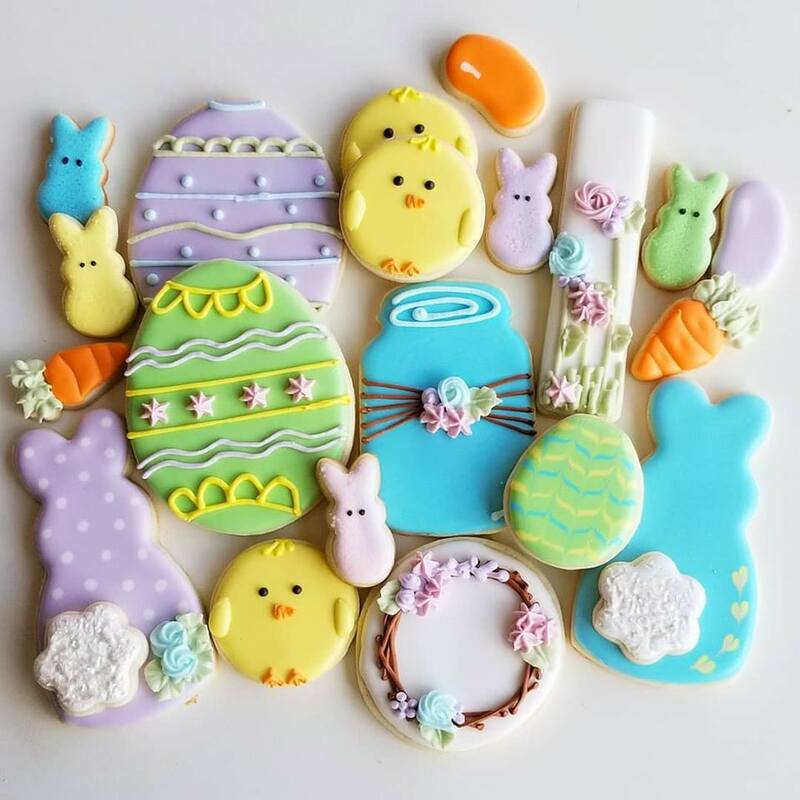 In addition to step-by-step instruction, the class will include recipes for both sugar cookies and the royal icing we use in the bakery, and a few tools you can use at home for decorating. This is a great beginners class to get you started on an adventure for learning how to decorate your very own professional looking cookies! Note: This class is for ages 10 and up, but please be advise, that your registration is for one person. If you want to bring your child to this class, you will need to purchase a separate decorating spot for yourself, as there is no extra room in the bakery for cookie decorating classes for you to sit and help your child along.